Welcome dear friends to Natasha In Oz.com! I am excited because I have been featured in the current issue of Belle Inspiration Magazine in an article I wrote about my favourite beach in the world...Mooloolaba! Belle Inspiration e-Magazine is a bi-monthly publication and delivered in a digital flip-page format and it is gorgeous. This issue is particularly lovely as it is all about Romance and all things beautiful. My article is not about Valentine's Day but it is all about my love of the ocean and in particular, my love for my favourite beach here in Australia, Mooloolaba beach in Queensland. I have written about Mooloolaba here and here but for this issue of Belle Inspiration I have discussed the therapeutic qualities associated with the beach. Thank you Mimi for featuring me this issue and congratulations on producing such a beautiful e-magazine. Finally, thank you so much for visiting me today. I love it when friends stop by; your visits and comments really make my day! Thanks so much for linking. Those shell photos are amazing. I love the grains of sand on them. Congratulations on your e-magazine feature. What fun for you and quite a compliment also - well deserved. I enjoyed your post about "The King's Speech." Yes, the music is beautiful, but I am not up to date with the list of nominations. I did hear that this movie has been nominated for many oscars though. I do not usually get around to seeing movies until they have been out for a long time - not sure why. On the weather yesterday they said the same area of Australia that flooded was about to get hit with a cyclone. Have not heard more today, but will be listening for more updates. I'm a Belle Inspiration subscriber already, so I look forward to reading your article. I'm sure it will be fascinating! Congrats! Your photos are gorgeous. I love the shells! Congrats on being published in the ezine. I'm over from the Macro party. So nice to meet you. 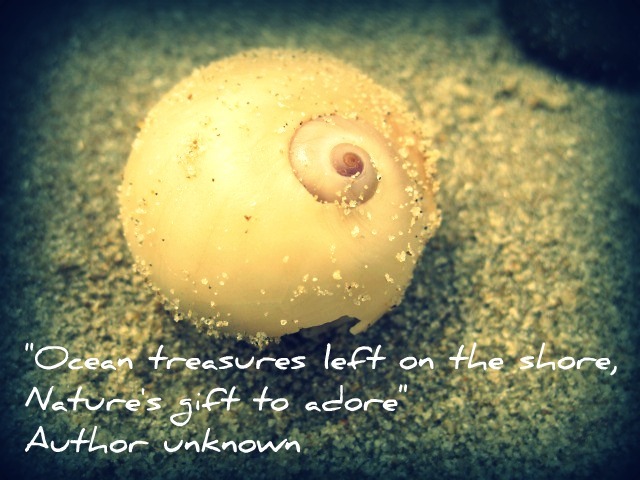 Love how you can see the grains of sand in your photos of the shells. Just beautiful! Natasha, That's so exciting! I'm happy for you and you deserve to be in that magazine. BTW, don't worry about shipping. I've shipped to Australia before. I chose the totebag because it's so light. I put it in a sturdy but featherlight bag, and it doesn't cost too much to ship at all. Congrats on the article Natasha. Mooloolaba is a gorgeous beach and I loved your photos. Congratulations! What an honor. Your seashell photos are amazing. Love them. Congrats!!! I hope one day I receive an awesome opportunity like this! That is awesome Natasha! Congratulations. Love your shots of the ocean. Love the close-ups of the shells I am really missing the beach right now! Too much winter. Well done Natasha, hope this helps your blogging mojo. The photos are brilliant especially those shell close ups. Lovely photos of your children and congrats on being published. The macros of the shells and sand are great. Just tried my hand at it for the first time and posted at Tracy's party. That's really exciting news, Natasha, and I am so pleased for you! Beautiful photos, as always. Congrats on being published Natasha! How exciting. Your photos are wonderful. Love the shells. We have no shells here on our beach. I have thought about bringing some with me for props. I might get a few odd looks though! Congratualtions Natasha ,what a great honour ,I loved your pictures too ,its great to meet a fellow Aussie ,I am your newest Follower! I do hope that you are not affected by Cyclone Yasi ,poor Queensland I hope this is all the trials they have. What an honor for you. I think it is wonderful when someone gets such recognition. I love your beach! It is beautiful. Congratulations! Congratulations, Natasha. This is a well deserved honor. 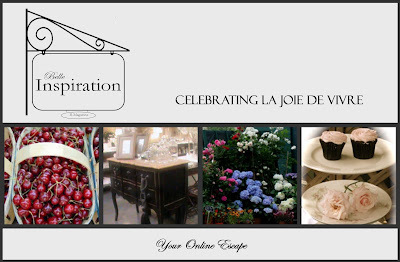 Your article was marvelous - it is I who must thank you for being a part of the Belle Inspiration team! I'm really excited for you. Your pictures are so beautiful, I'm not at all suprised that you were chosen. Congrats! Just looking at the photos of the beach was therapeutic for me. Thank you..
That is awesome Natasha! Congrats! Your photography is outstanding. What an honor, Natasha! Congratulations! I can well see why you were chosen - your photos and blog was wonderful. Thanks for stopping by Cottage and Creek, too. I'm a newbie so your comment was a spark of delight in my day. Congratulations! Your photos are beautiful! Congratulations, N! That is wonderful news! Natasha, the shells photos are beautiful! I'm sorry to hear about the cyclone, it sounds so terrible. I hope you are all well! I hope you are not affected by the cyclone. I was in Brisbane last year and am glad I am back in NEw Zealand. I don't know where to look first! everything is so beautiful...and will you take my family and me to that amazing beach? thank you for stopping by, I hope you come again, I know I will be coming to yours!!! !